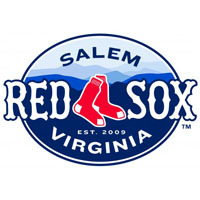 The Salem Red Sox fell short in a 5-4 loss to the Frederick Keys on Friday night at Harry Grove Stadium, snapping their season-long five-game losing streak. For the third straight game, the Red Sox led off the game with an extra-base hit. Jose Vinicio tripled in the first at-bat of the game and scored one batter later on a Tzu-Wei Lin groundout. Salem’s 1-0 lead marked the third straight day with a first-inning run. The lead did not last long, however, as Frederick struck back in the home half of the first with a Trey Mancini two-run home run to left-center, vaulting the Keys past the Red Sox 2-1. Gregory Lorenzo began the Keys’ third with a single and was advanced to third as the bases loaded behind him. Jeff Kemp put a ball in the air to left and Lorenzo tagged to score on the sacrifice fly, putting Frederick up 3-1. Salem began to claw back in the fifth inning. Vinicio struck out in the first at-bat but reached successfully on a dropped third strike. Two batters later, Sam Travis cranked a double into right-center, scoring Vinicio and cutting the lead to 3-2. The best chance though came in the sixth. Cole Sturgeon shot a ball down the third base line and stumbled around first base, looking to be caught in no-man’s-land as the relay came in from left. Sturgeon took off for second when the ball was delivered to Mancini at first. Mancini quickly threw towards second but the ball glanced off of Sturgeon’s helmet and he was safe at second. The throwing error proved large, as Jordan Betts singled in Sturgeon in the next at-bat to tie the game. The Red Sox then loaded the bases with only one out. Lin lined a pitch to center and Josh Hart sprinted in and dove headfirst, robbing the Salem shortstop of a base hit. Deiner Lopez was moving on contact from second base and Hart popped up, delivered the ball to second to double off Lopez and end the inning. Trey Ball continued his outing in the sixth but surrendered a leadoff double to Jeff Kemp. Adrian Marin knocked him in with a single, ending Ball’s outing with one out in the sixth. Kuehl McEachern entered in relief of Ball but could not stop the bleeding, giving up an RBI single to Anthony Caronia. Marin scored on the play, pushing the Frederick lead to 5-3. Ball (3-5) notched 5.1 innings with eight hits, five runs (three earned), one walk and one strikeout. Salem didn’t go down quietly with Sturgeon providing more offense in the eighth. After singling to lead things off, Lopez drove him in with a single to cut the deficit to 5-4. Sturgeon earned his first three-hit game of the season, finishing 3-for-5 with three singles and two runs scored. Two runners reached in the ninth but the rally fell short, dropping Salem to 25-23. Jon Keller (3-3) took the win for Frederick with two innings out of the bullpen. He allowed three hits and one unearned run. Cody Wheeler earned his seventh save, closing things out with three strikeouts over 1.2 scoreless innings for the Keys, who improved to 25-23 with the win.